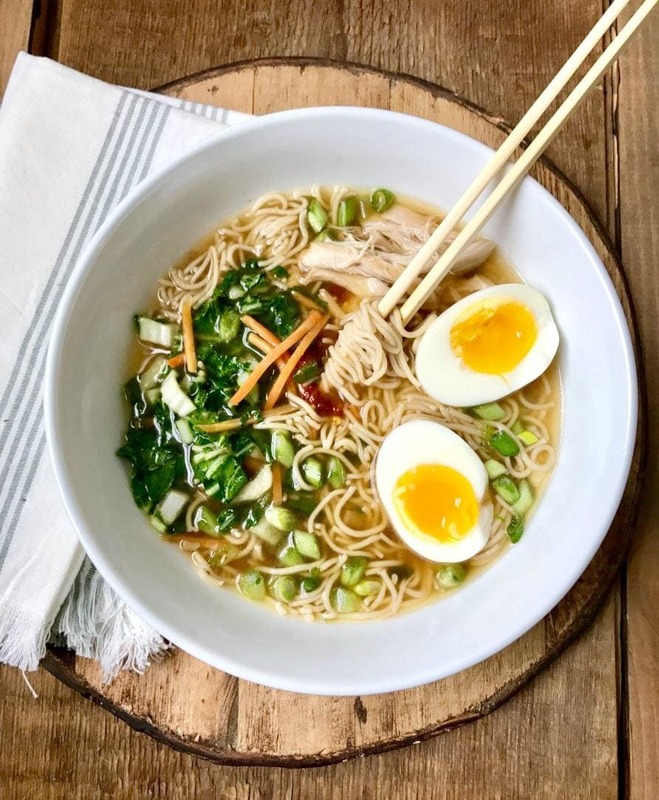 This yummy Instant Pot Ramen Noodles soup is a healthier, 21 Day Fix approved version of everyone’s favorite dorm room dinner! This post contains affiliate links for products I’m obsessed with. 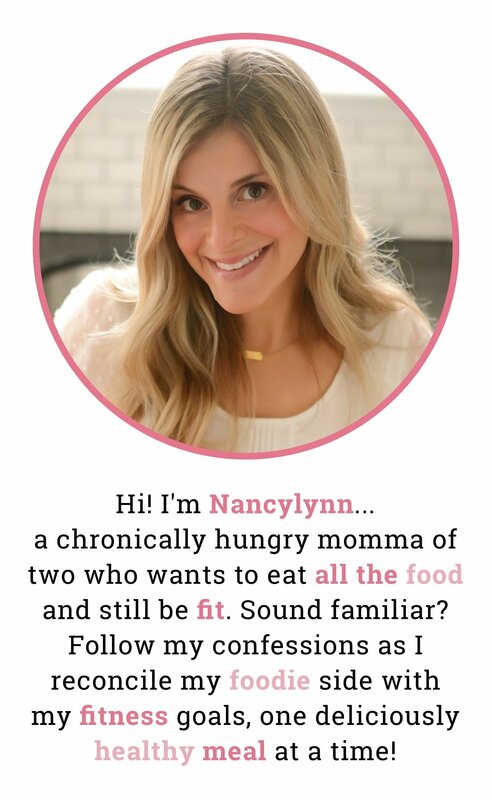 Confession # 140 – Even after years of clean eating, I still crave ramen noodles like nobody’s business. I can’t even look at the package without wanting to grab a hot pot and boil up some noodles! So when one of my amazing readers shared these organic, gluten free brown rice ramen noodles with me, I kind of died a little and immediately ordered some. I seriously have THE greatest readers in the history of the internet. 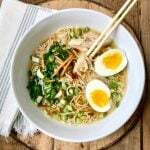 Thanks to Stacey G., we have eaten ramen every Friday for three weeks now and my husband and son are in total heaven with this recipe. My daughter ate the noodles plain, as her pickiness is out of control right now and I honestly have no idea where she comes from sometimes and I’m trying my hardest to be patient. This was such an easy dinner, too…and quick using the Instant Pot. 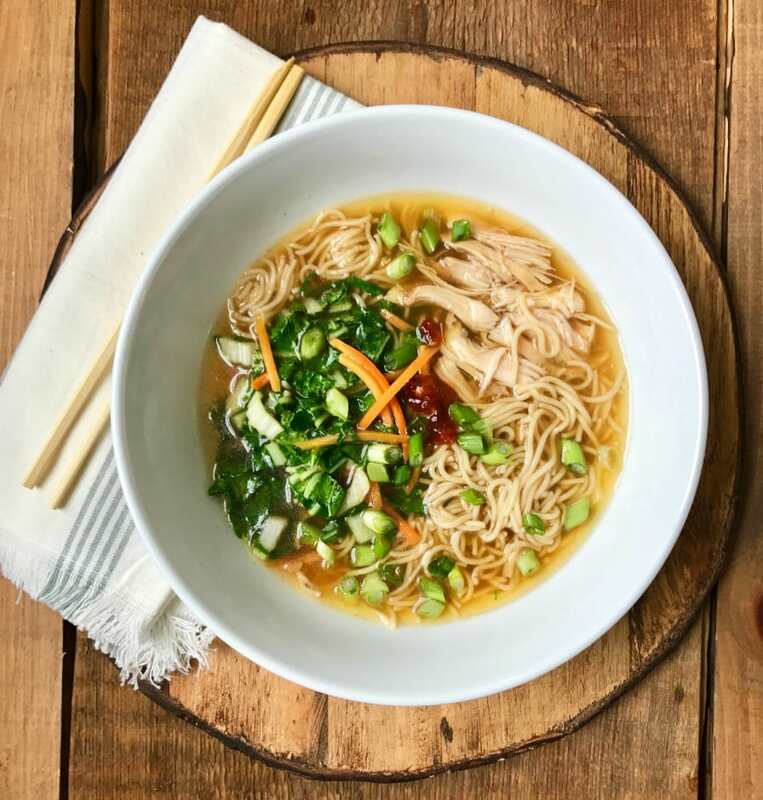 I used bone-in chicken thighs, along with fresh ginger and garlic to make the broth taste like that delicious, yet full-of-chemicals-flavor-packet of my youth, and my husband told me I nailed it! 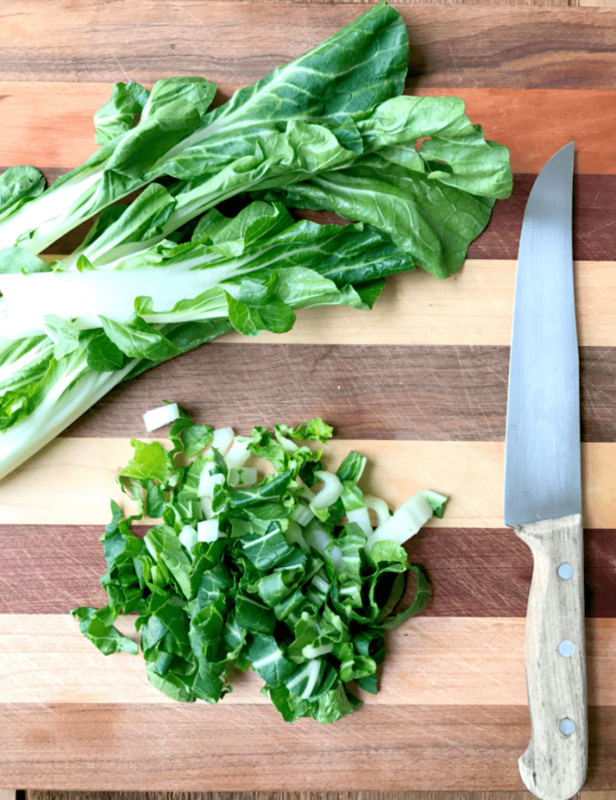 And to add some veggies, I chopped up some baby bok choy, which is becoming one of my new favorite greens. 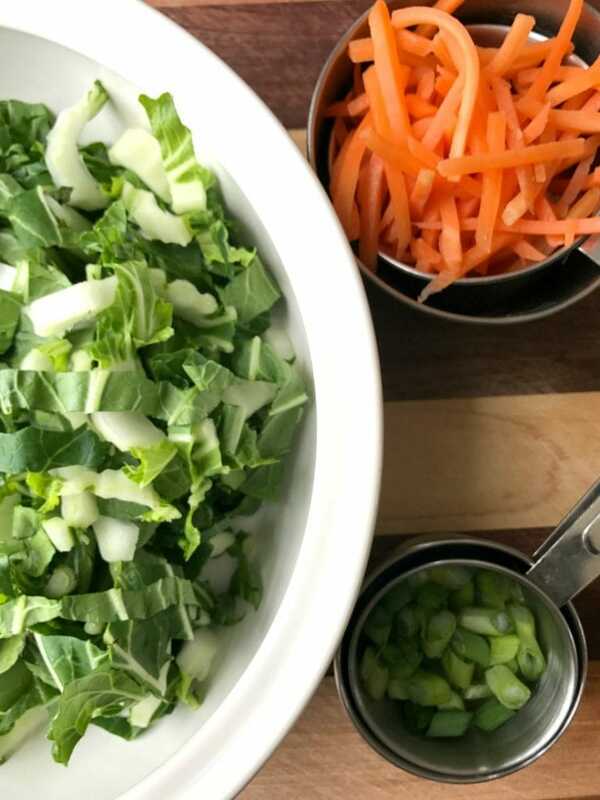 You could easily sub kale, but the bok choy has such a mild flavor, I think you should try it! And you could put up to two cups in the soup, but if you aren’t sure, start with one cup. I also used matchstick carrots and some scallions for garnish. 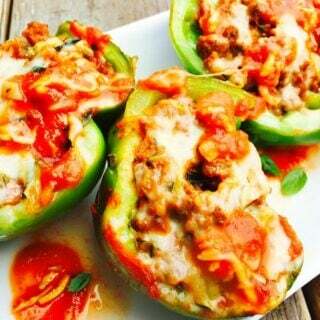 You could easily add bell peppers, mushroom, or any other veggie you want to try out! The veggies and noodles cook in the hot broth afterwards, so you can really fix it to your liking! And we are not egg on ramen people, but you can easily make soft boiled eggs right in your IP if you want them! Just cook for 5 minutes on low pressure, and then do a quick release and place directly into an ice bath. I love adding a little chili paste on mine and even some extra ginger – I can never have enough ginger! 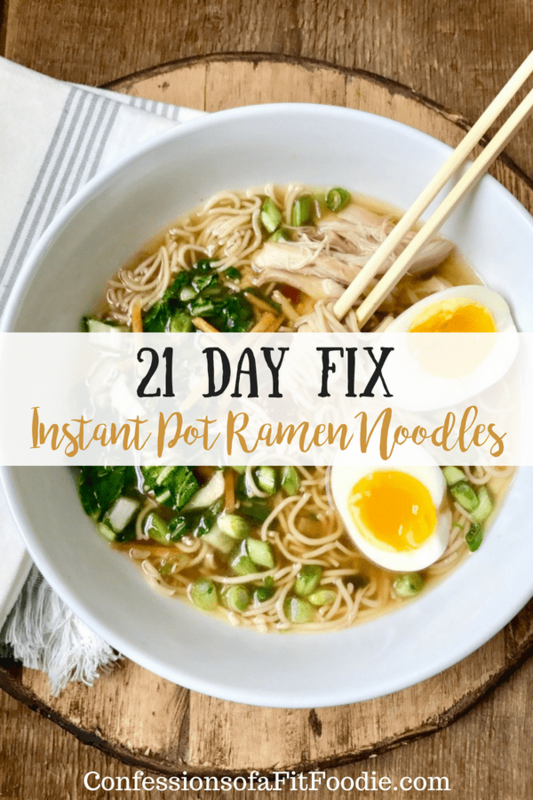 I hope you LOVE these 21 Day Fix Ramen Noodles as much as we do. As always, let me know what you think. It makes me so happy to hear from you! 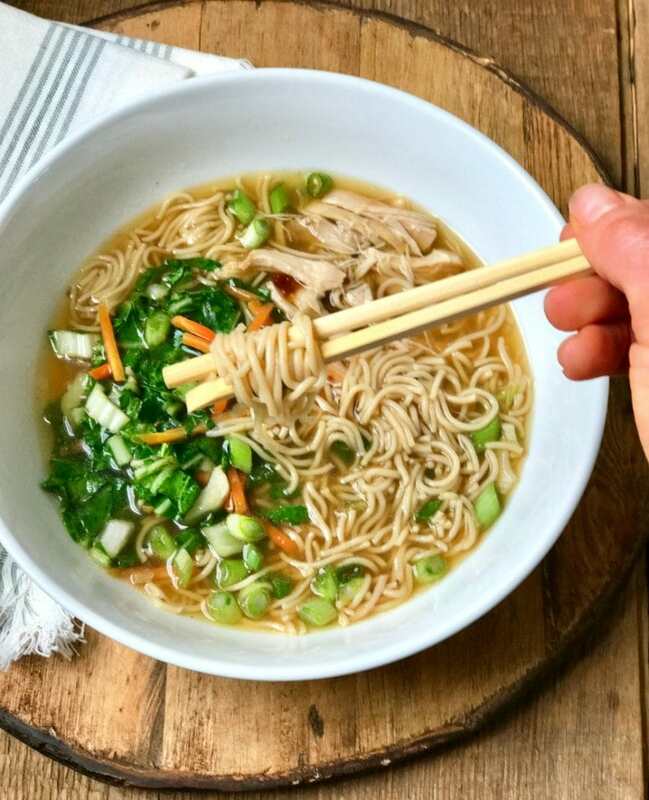 This yummy Instant Pot Ramen Noodles soup is a healthier, 21 Day Fix approved version of everyone’s favorite dorm room dinner! Set Instant Pot to saute and add sesame oil once the pot is hot. Stir in garlic and ginger and sauté until fragrant, being careful not to burn the garlic. Add in chicken, stock, water, and coconut aminos. Lock lid and press the “soup” setting or manual/pressure cook for 30 minutes. After cook time is through, remove chicken and let cool. Skim the top of the broth to remove any fat. If you have super picky kids, you can strain out the ginger and garlic, but I leave it in! Add ramen noodle cakes into the IP and place cover on the pot. The noodles should cook in the steam in just a few minutes. As soon as the noodles are soft, remove them from the pot and use your yellow container or a 1/2 measuring cup to portion out into four bowls. Next add the greens and the carrots to the pot. If your broth isn’t hot enough for them to steam in, turn your pot to sauté and stir your veggies as they soften or cook on manual for zero minutes. When your veggies are cooked, carefully remove the chicken from the bones (it should fall right off) and add it the pieces to the pot. Taste the broth and season with salt (I used 1/2 tsp) and more ginger, if you want – I love to add more, but I am crazy for ginger. In a large dutch oven or pot, sauté sesame oil over medium low heat. Stir in garlic and ginger and sauté for a minute until fragrant, being careful not to burn the garlic. Add in chicken, stock, carrots, water, and coconut aminos. Bring to a boil, then reduce heat and simmer for 45 minutes or until chicken is tender enough to fall off the bone. Remove chicken and let cool. Skim the top of the broth to remove any fat. If you have super picky kids, you can strain out the ginger and garlic, but I leave it in! Add ramen noodle cakes into the broil and turn heat back up. The noodles should cook in just a few minutes. As soon as the noodles are soft, remove them from the pot and use your yellow container or a 1/2 measuring cup to portion out into four bowls. Next add the greens to the pot and stir until they wilt. This recipe looks amazing! Just wondering if I meal prep it for lunch at work should I keep the noodles separate from the broth or should it be ok once everything is cool? 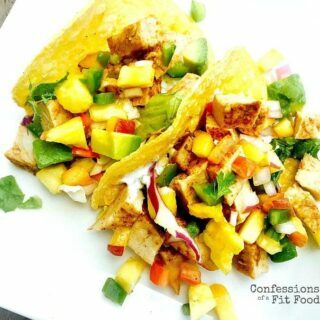 You have the best recipes… Your website is probably the only way I’ve gotten through round 1 of 21 day fix, and plan to continue as long as possible!!! Please don’t ever stop! Thank you, Courtney!! This made my morning!! I think you could do either, but I am super sensitive to mushy noodles, so I would keep them separate – maybe portioned in ziplocks? Or you could try it once with the noodles all together and see what you think, because it could be just me! the ramen that you buy, it has 4 ramen cakes per package. does each serving get 1 ramen cake or is it one package per person? Each serving gets 1/2 of a cake…I measured in my yellow after it was cooked. OMG, you made my day! 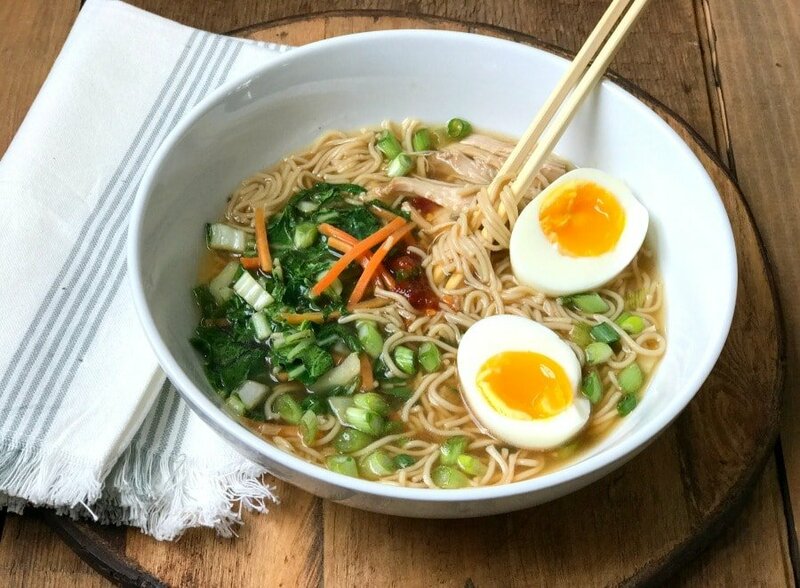 I love love love Ramen and am so happy that you created this recipe. Can’t wait to try. Thanks!! Do you have a suggestion for making it without an instant pot? I’ll work on this asap and post the directions – it will be super easy. I would love the options without IP too!! THANK THANK THANK YOU! Ok – I promise to get to this ASAP! Does the 1 red per serving include the egg? Your recipe is perfect for this IP newbie and ramen lover. In fact, I wanted to give it a try tonight and found your website first. I love the way the Instant Pot under pressure locks in the flavors, and I can add less salt or no salt an it tastes great. I’m glad you found a more healthy ramen you and your family could enjoy. I’ve also spiralized (angel hair setting, peeled) a large russet potato and cooked those noodles just enough to eliminate the raw taste, in leftover spicy ramen broth. Very good, slightly crunchy, and I would do that again. 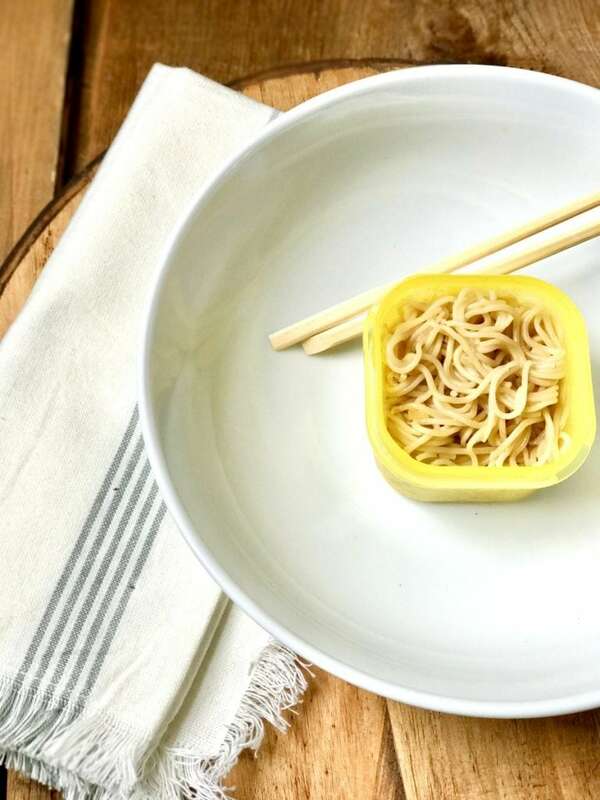 Another gluten free Asian noodle that I adore is the 100% buckwheat noodle. It is wonderful in a cold broth with a few drops of mustard oil. 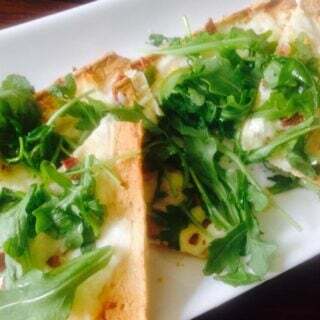 It has a great texture and taste and is very refreshing on hot summer days. Koreans call it Nang Myeon. Thank you SO much for this note! You made my day! I will definitely look for the buckwheat noodle…do you know where I can find it? No luck finding coconut aminos but found liquid aminos would that work? First time I found coconut aminos was at Thrive.com the online market. The membership is totally worth it and it feeds hungry people too. I always spend the $49 needed for free shipping and just wait until I need stuff. A lot of healthier and more organic options there. Also, a ton of gluten free yummies. Nancylynn, thank you so much for sharing part of your beautiful and inspiring life! I pray that his school and peers continue to be a great fit. Keep on doing what your doing, Momma, because it sounds like your doing it right! I made your Ramen Noodle recipe tonight and I just wanted to make sure I gave you a big Thank You! It was absolutely delicious!! Awesome! Real quick – the match stick carrots can be added at the end if you want them crunchy! I was so torn about where to put them in the directions! My husband always thanks me for dinner, but I can probably count on one hand the number of times he has said he liked a dinner I made. He prefers food that clogs his arteries and I cook healthy! When I made this he actually used the words, “This is good. I like it.” This will be added to my list of things to make again! Ahhh!! That is SO wonderful! And he is a lucky guy, Andrea! Keep up the amazing work! I am allergic to carrots. Are there any other veggies you would recommend adding? Nancy, can I use frozen chicken? Will cook time change? Yes! And I would keep the time the same :). 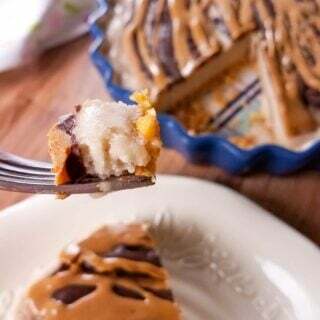 Oh my goodness, this recipe is delicious! I’m like you, I crave ramen all the time, but especially when I have a cold. This really hit the spot. Next time I might try low sodium stock or broth because the sodium seemed a little high, but it was delicious!! I am so happy, Christine! Yes- a low sodium broth or stock would be perfect! I just finished making this and my daughter and I almost finished it up ourselves! As ginger lovers I doubled the ginger (not exactly on purpose) but followed the rest of the recipe and it was absolutely delicious! My daughter is a bit pickier than I am and she told me three times how much she loved this ramen. I will most definitely be making it again and again and again! This makes me so darn happy! Thank you for taking the time to comment and rate this recipe, Ben! What the heck is the “yellow container”? Also, are you adding noodles INTO the broth in the IP?? Yes – add them to the broth in the instant pot. 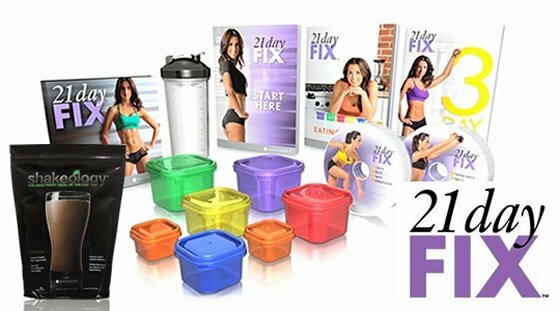 A yellow container is part of the 21 day Fix program – you can use 1/2 cup to measure out your portion. Or add however much you like! Do you think you could use angel hair or thin spaghetti? And how much? THANKS!